Cabbage root maggot (Delia radicum) flies are delicate, hump-backed gray-brown flies, about 5-7 mm long. Onion , seedcorn and cabbage maggot flies are difficult to distinguish with the naked eye, but each will only be found on and near their appropriate crop family. 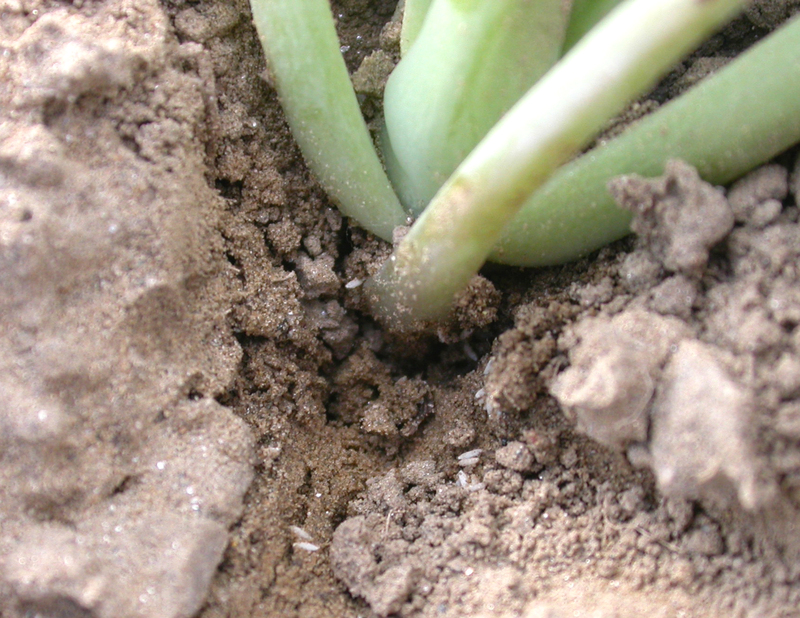 Small (⅛”), white, bullet-shaped eggs are laid in soil. 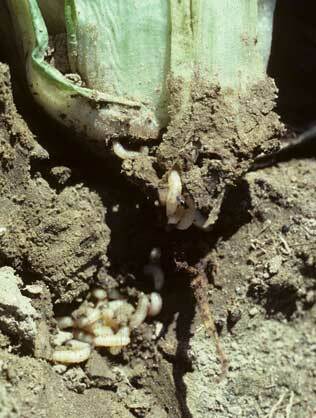 Maggots are white and legless and can be found in and around roots. Onset of Spring Flight. A good indicator of cabbage maggot flight is blooming of the common roadside weed, yellow rocket or wintercress (Barbarea vulgaris); good photos can be found at the online UMass Weed Herbarium . 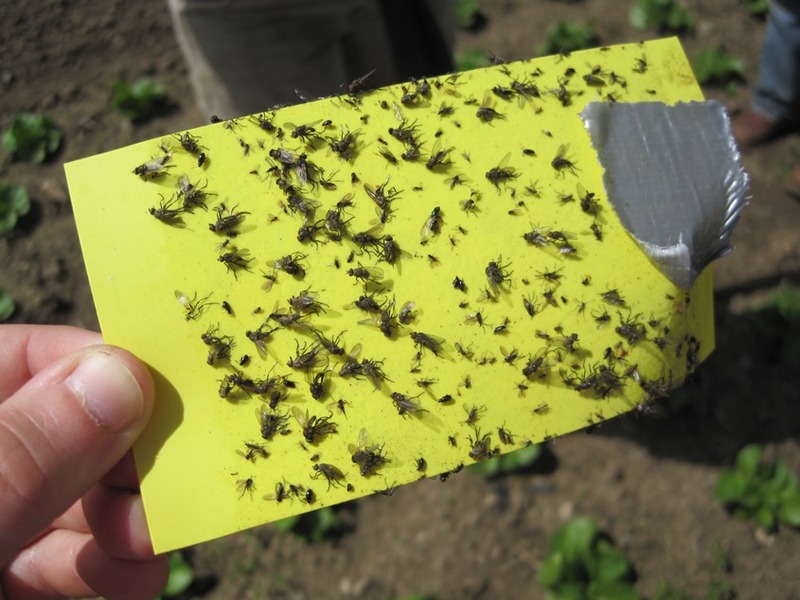 Cumulative growing degree days (GDD) and indicator plants can be used to more specifically pin-point activity of cabbage maggot fly in your area. Many GDD models are base 50°C, but because cabbage root maggots are active at lower temperatures, GDD models should be base 4°C. NEWA has cabbage maggot models and growing degree day information here . Choose your state and the weather station closest to you. The resulting report indicates daily and cumulative GDD using the base temperature 4°C. There is also GDD forecasting functions on the NEWA site for Connecticut , Massachusetts , and New York . Find a station near you and look at the last column for 4°C base T. You will see daily GDD forecasts for the coming week. This may be useful for determining whether pre-treatment or post-treatment would be most effective for your transplants. 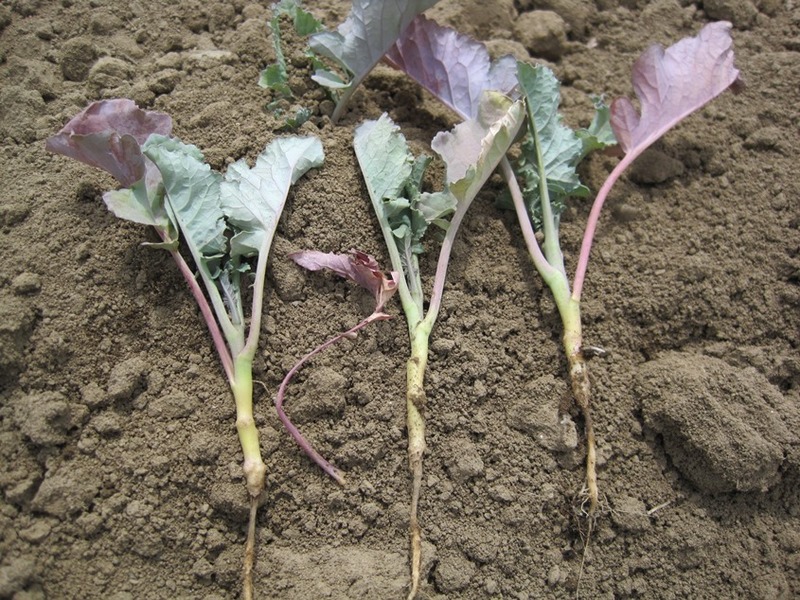 Use production methods that favor vigorous growth so that plants can compensate and outgrow moderate amounts of root injury. For information on production methods, visit the New England Vegetable Management Guide website .